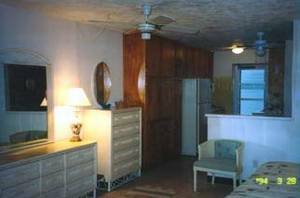 furnished with all modern appliances. Disneyworld is 1½ hour drive. 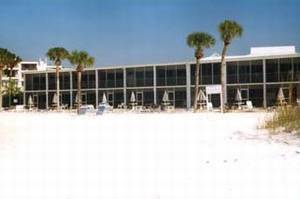 Shuffleboard, picnic area, shade cabana, chairs and lounges furnished on beach. COMPLIMENTARY WIRELESS INTERNET CONNECTION. Sarasota's Ringling Museum, Van Wezel Performing Arts Theater, Boat Racing/Activities,National Park nearby, and numerous cultural activities in Sarasota. 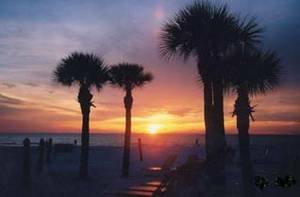 Every night enjoy a different sunset over the Gulf of Mexico. Guaranteed Beautiful! 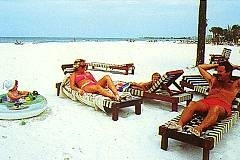 Crescent Towers is located on beautiful Crescent Beach - voted #1 in the USA! 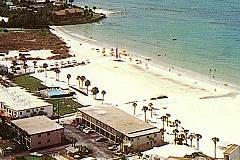 located on the world's most beautiful white sand beach - voted # 1 in USA in 2011.
all new leather furniture in living room including 2 loungers. 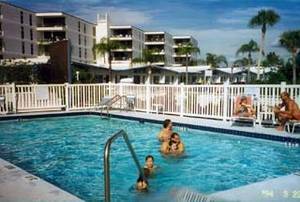 Enjoy the heated pool 365 days a year - just steps from your front door. This place really is incredible! It was the perfect getaway! This is the perfect get-away for a honeymoon or a relaxing vacation. We will be back. 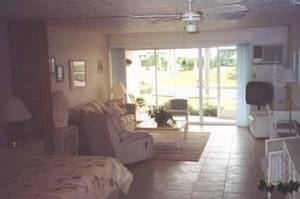 March 9, 2004 Reviewer: John D.
We have stayed in "Siesta on Siesta" and find it a real paradise - tastfully furnished, conveniently located and a perfect get-away. What a perfect spot! This is the world's b est-kept secret. Thanks for a perfect winter getaway. Please reserve the month of February for us for next year - we will be back. Deposit: 25% of total rental. Cancellations and Refunds: 60 days' notice for full refund.